Mama Love: Fitness Meets Fashion With ELLIE! 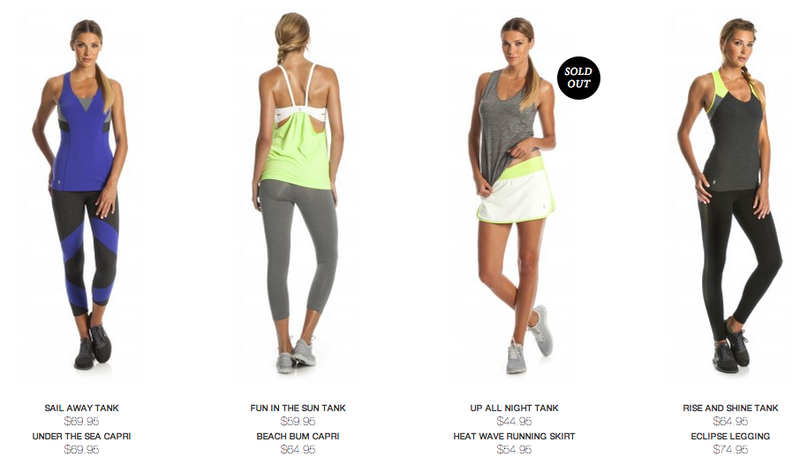 Ellie offers women a chic new line in women's fitness apparel. Save 20% Now. Have you heard of Ellie? Well if not it's an amazing fitness clothing site that I'm crazy about! Ellie a fitness clothing company that provides gorgeous workout wear at affordable prices. And what's really neat is You can join Ellie as a member and receive a fun monthly package of clothing, and who wouldn't like to have a fabulous package of fun fitness clothes delivered to their doorstep each month?! Here's How it Works: You take a simple style quiz about how you like to workout, what colors you like, and what styles you prefer, and they’ll send you a monthly outfit for $49.95 a month. Which is an amazing price compared to most high end fitness wear! You can also purchase pieces outright from the site, if you prefer not to subscribe. Shipping is free, and so are returns. I was recently sent an outfit from Ellie, and I love it!!! I simply am in love with these two pieces! amazing quality amazing prices flattering comfortable fit, that makes me feel awesome while working out, what's more to ask for! While I do love both the pieces I will admit that I love the Little Black capris more, I feel like I could live in these! and here it goes mom confession #`1838338 I wore these one day ended up sleeping in them that night and the next morning they still looked awesome, now I did shower and change that second day lol, but no most workout clothes tend to stretch out and just look gross after a few hours of wear, but not with Ellie, they truly keep their shape and look fabulous always!! yes I get the "where did you get your outfit?" and of course I reply "ELLIE"
and tell them all about Ellie! Overall I'm completely satisfied with Ellie and highly recommend anyone looking for quality workout clothes at a great price run there now and sign up to get 20% off their already amazing prices!! Here are some more gorgeous looks from Ellie!